MOTIVATED SELLER - PRICE REDUCED 40K FOR A QUICK SALE - THE VILLAGES, FL ... 2 Bed, 2 Bath + 2 BONUS ROOMS. NO BOND - NO BOND MAINTENANCE FEES!! Also features LARGE Living Room, INSIDE LAUNDRY ROOM (w/sink & storage cabinets), 1.5 car garage (ample space for a car, golf cart & the existing storage cabinets). One of the Bonus Rooms, off the front entry, feels perfect for a Study (add a Murphy Bed to double as a third bedroom, perfect for an occasional guest). The other Bonus room is open to the Kitchen creating a cozy, open Kitchen/Den combo. EXCELLENT use of space!! ROOF REPLACED 2015. Other great features: Puronics Whole House Water Filtration System, Surround Sound Speakers (10), an InSinkErator by the Kitchen Sink (instant near boiling water), & 2 Solar Tubes. PRICE REDUCED FOR A QUICK SALE ALLOWING THE NEXT BUYER A FINANCIAL CUSHION TO ADD THEIR OWN STYLE. 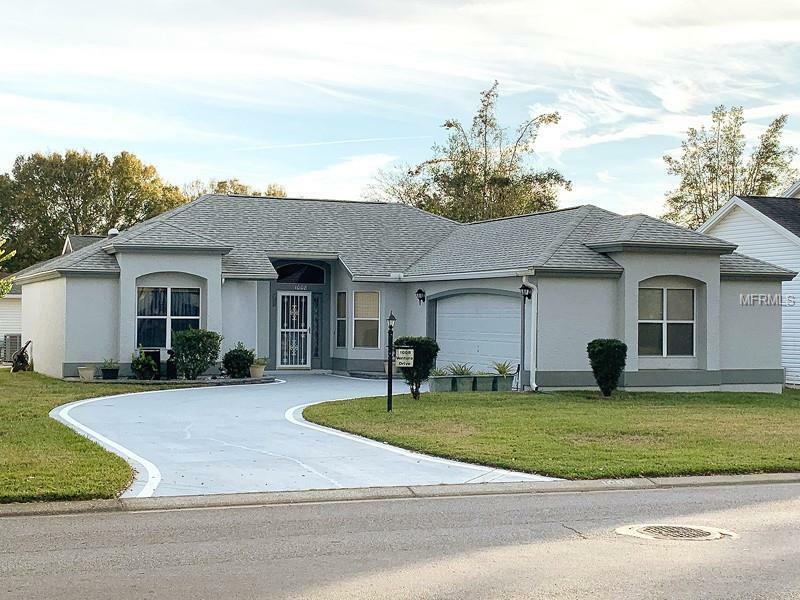 GREAT LOCATION: 1 mile south of Spanish Springs & 2.5 miles north of Lake Sumter Landing. NO BOND or BOND ASSESSMENT FEES!! Amenity Fee (the "fun fee") of $159 p/mo. All information deemed reliable but not guaranteed- always verify!